Apple red color matching with our rose petals and our Silk rose bouquets (hand tie). This fully covered and beautiful bridal kissing ball is made with full and fluffy silk red roses. 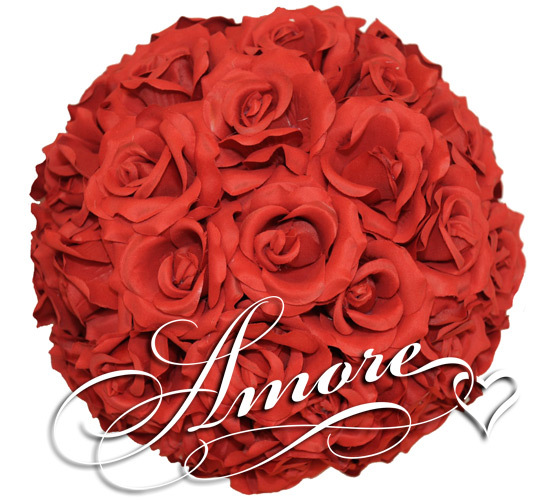 Our 8 inches kissing ball red comes with a ribbon and match with our bridal bouquets and silk rose petals. They are made with high quality silk open roses. Ribbon included !